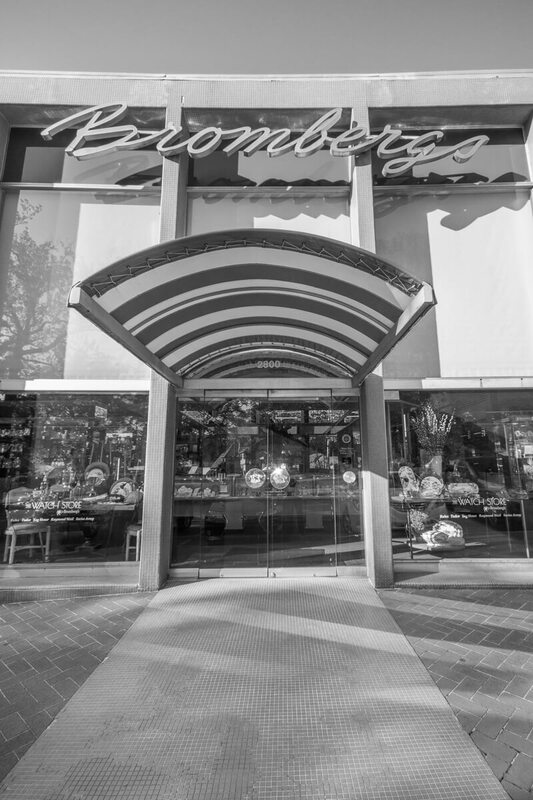 For more than 180 years Bromberg’s has provided fine jewelry and giftware options for the most discerning customers in Birmingham. 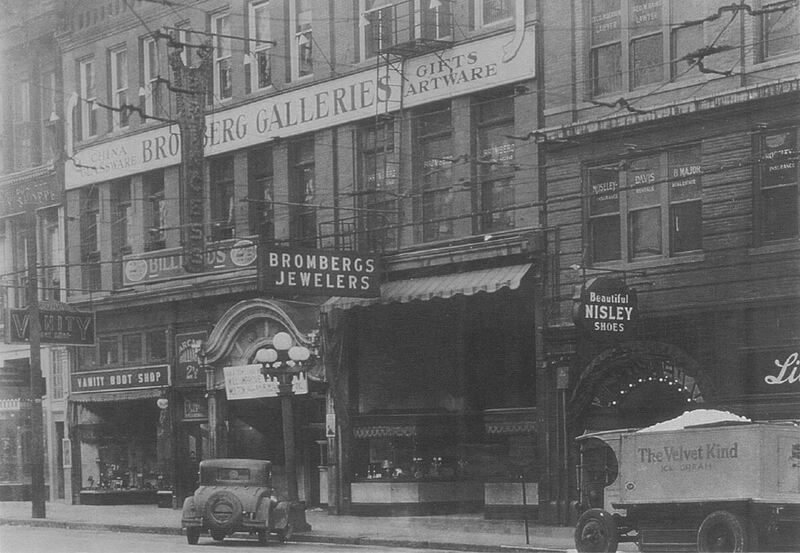 Family owned and operated since 1836, Bromberg’s has established a solid reputation as a fine purveyor of quality diamonds as well as jewelry timepieces and gifts. Our trained staff has the experience needed to help you find the right stone for your unique setting. This attention to detail is just one of the many reasons why you should shop at our jewelry store. We employ cutting-edge technology, such as the ASET machine, to demonstrate the fine quality of the cut and illustrate the light performance of different stones. We are the only members of the American Gem Society in the city of Birmingham. This status gives us unique access to quality stones and the education needed for our staff to help you feel confident in making a choice that will last a lifetime. 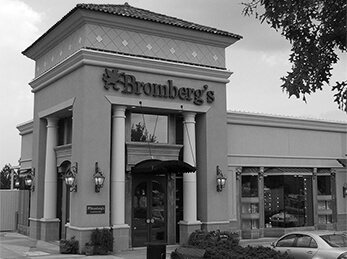 Bromberg’s carries a wide array of fine jewelry, timepieces, and engagement rings. We also have an extensive giftware department to service the registries of brides and grooms in the Birmingham area. We work with a large selection of designers to keep a rotating stock of unique items that are the perfect addition to any jewelry wardrobe or home. Custom jewelry options are available through our Master Jeweler Philip Flenniken and we offer custom engraving services. 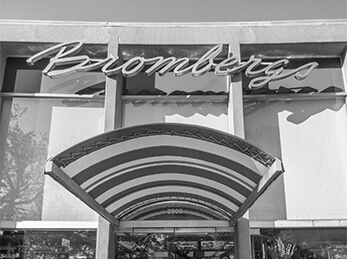 Visit Bromberg’s today to meet our staff and view all of our offerings firsthand. 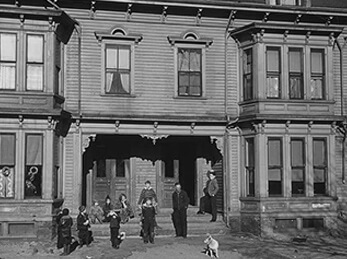 When Birmingham was founded, a third generation Bromberg recognized the inevitable boom of the city. 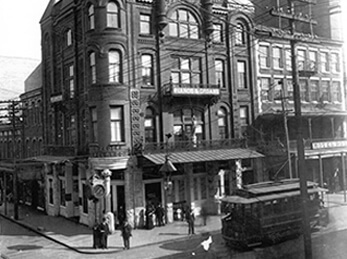 Each downtown location was positioned in locations surrounded by the cities hustle and bustle. 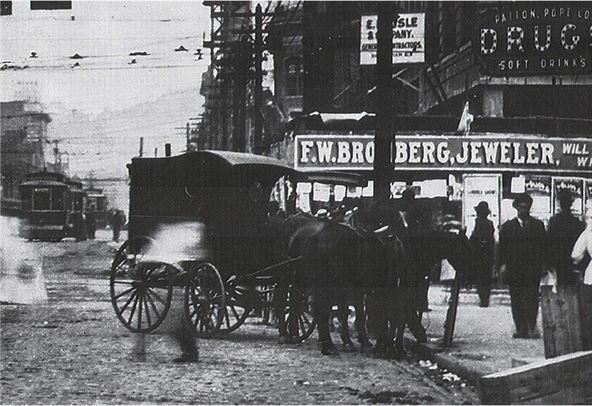 Bromberg's has since remained in Birmingham for 116 years. 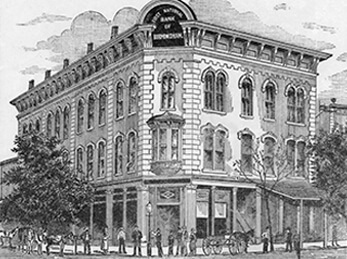 Founded in 1836, Bromberg's is one of the oldest family owned businesses in the US and the longest standing business firm in Alabama. 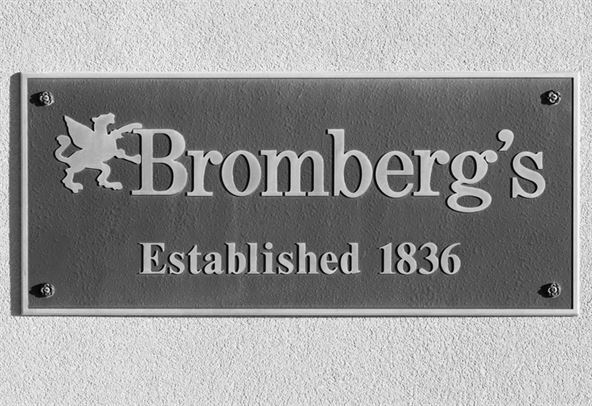 With more than 180 years of experience, Bromberg's prides itself on providing only the finest quality items with an enjoyable luxury experience. 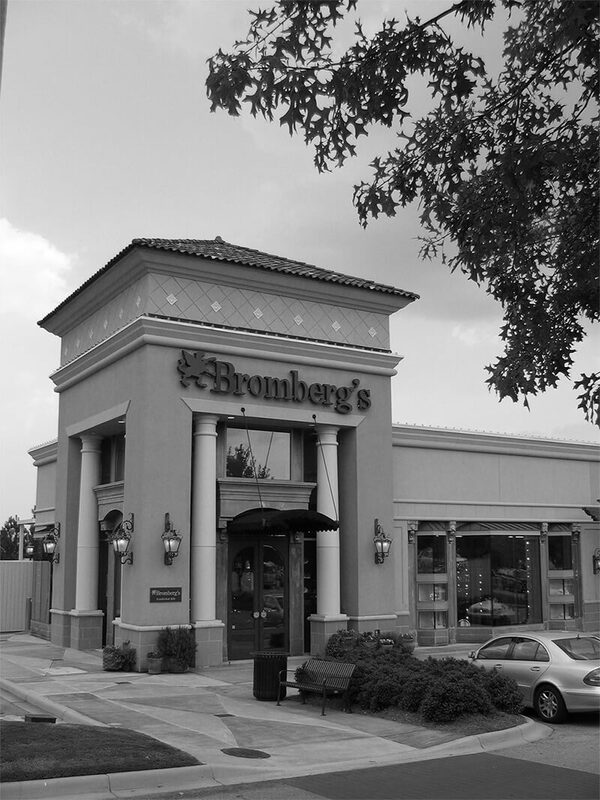 Bromberg's founder, Frederick Bromberg, moves to Mobile, AL from Bromberg, Prussia to open his first store. 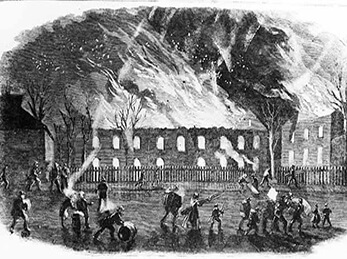 Hit Mobile and destroyed the original building and Bromberg moved to Dauphin Street. In this same year, Mobile was hit with a yellow fever epidemic and Frederick's wife contracted the disease. The American Civil War began with the attack of Fort Sumter. 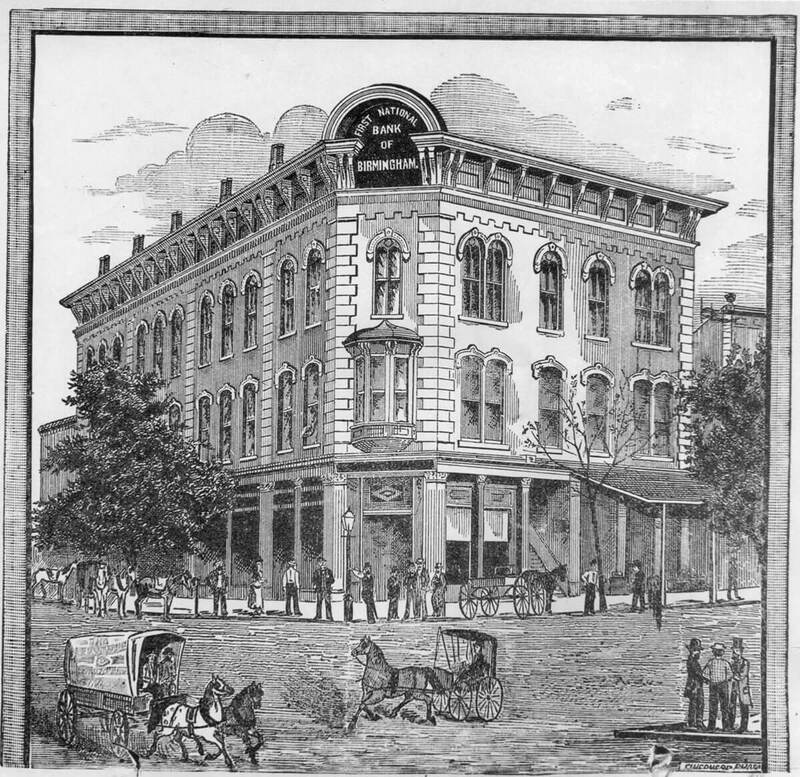 Birmingham was founded and the First National Bank opened in Linn's Folly building on the corner of 1st Avenue and 20th Street. 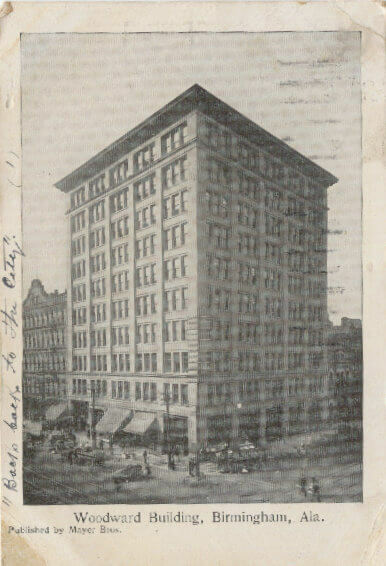 1900: A Third Generation Bromberg moves to Birmingham to open a store in Linn's Folly. 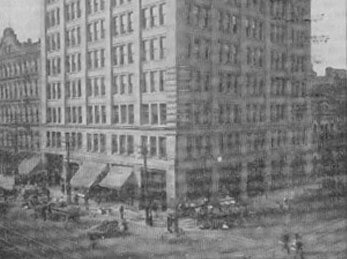 Birmingham's first skyscraper, the Woodward Building, was being built on the opposite corner of Linn's Folly, beginning the construction of “The Heaviest Corner on Earth” as three more skyscrapers followed on the corner of 1st Avenue and 20th Street. 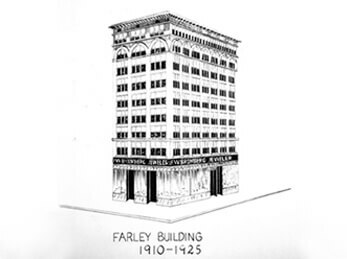 The Farley Building was built on the corner of 3rd Avenue and 20th Street North. 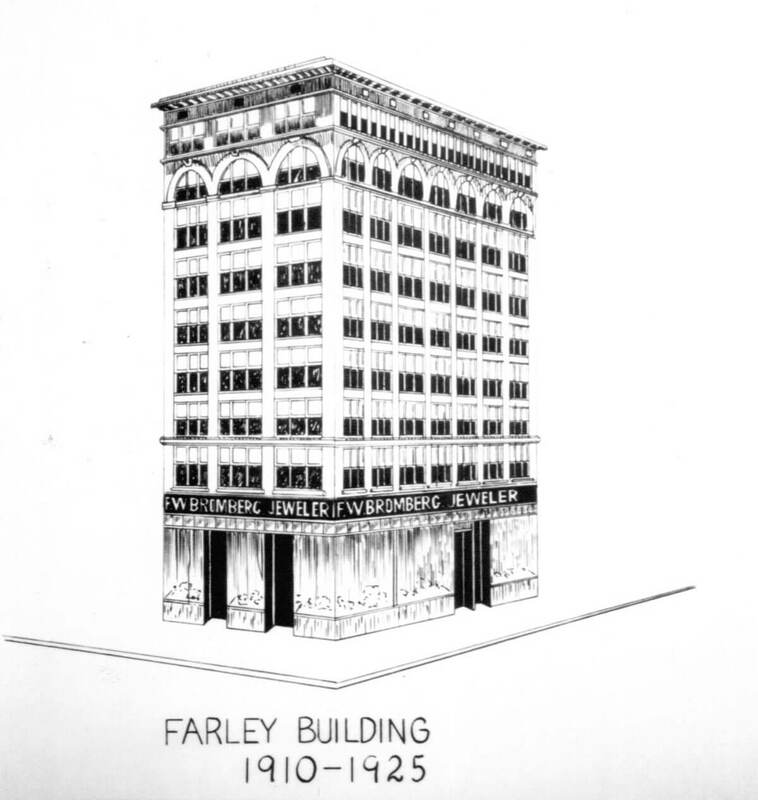 1910: Bromberg's moved into the Farley Building. 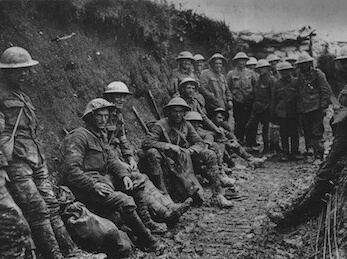 World War I wages on for four long years and three months. 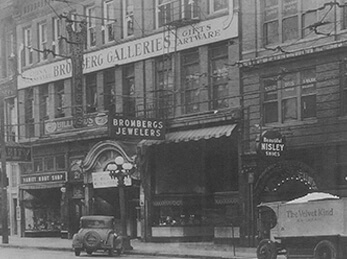 Bromberg's moved from the Farley Building to 218 North 20th Street, which was just next door. 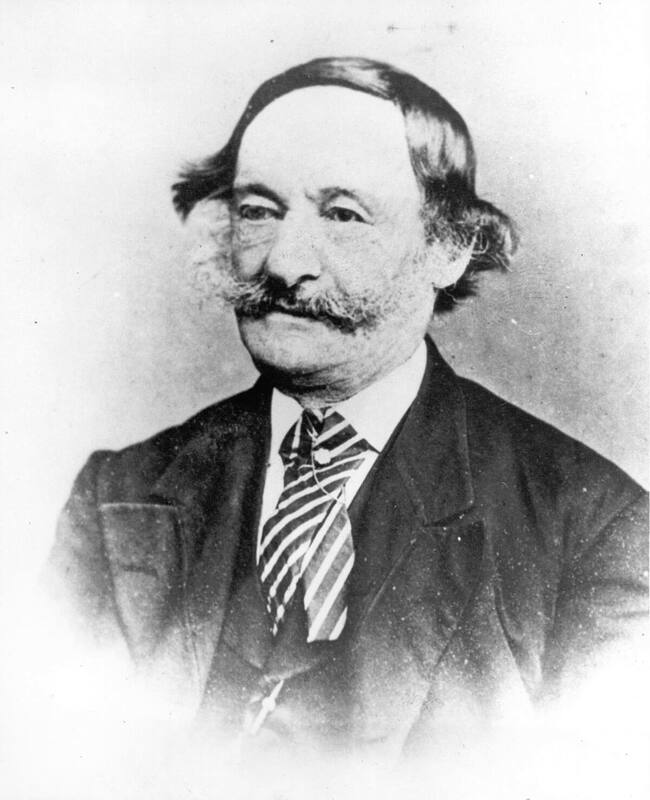 Bromberg's became the first Kodak franchise in the South. The Stock Market Crashed which began the Great Depression. The world again falls into the trenches of a World War. 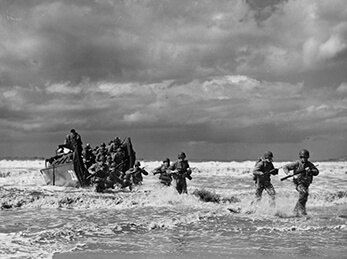 The fight between the Allies and the Axis forces waged on for over six long years. 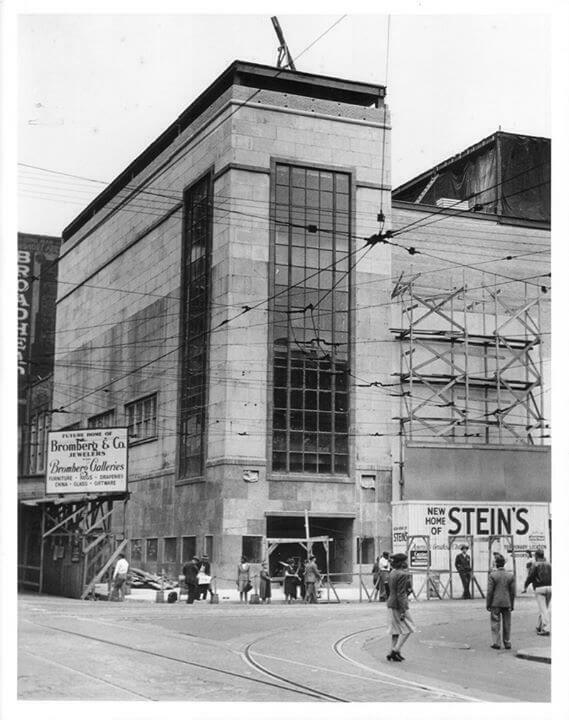 The Fourth Generation of Bromberg's rebuild the building on the corner of 2nd Avenue and North 20th Street. 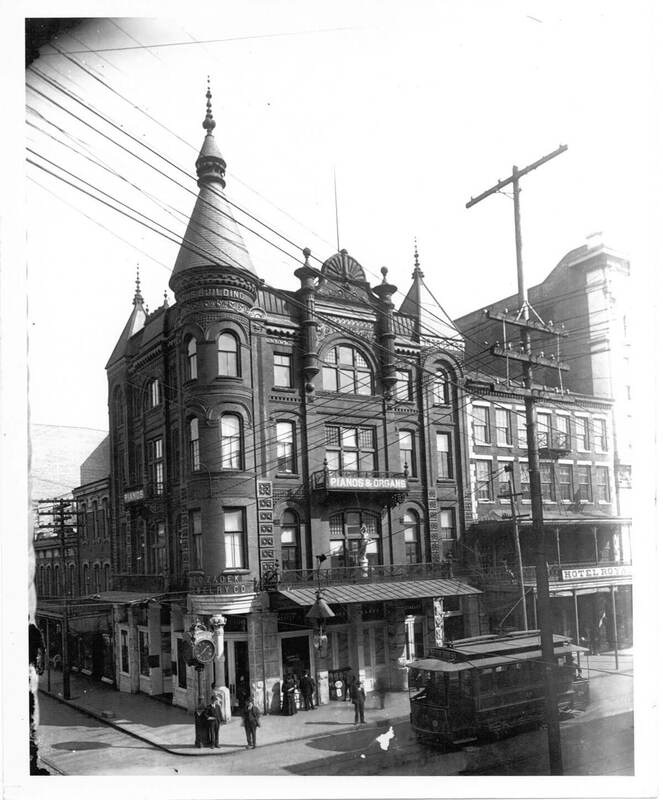 This building was designed by architect J. Gordon Carr, who was famous for designing the Tiffany building on 5th Avenue in New York City. 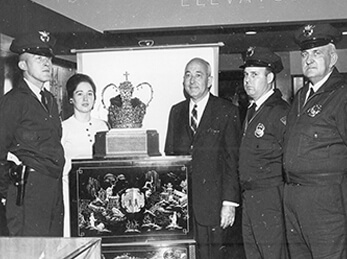 The Crown of the Andes is displayed at Bromberg's. 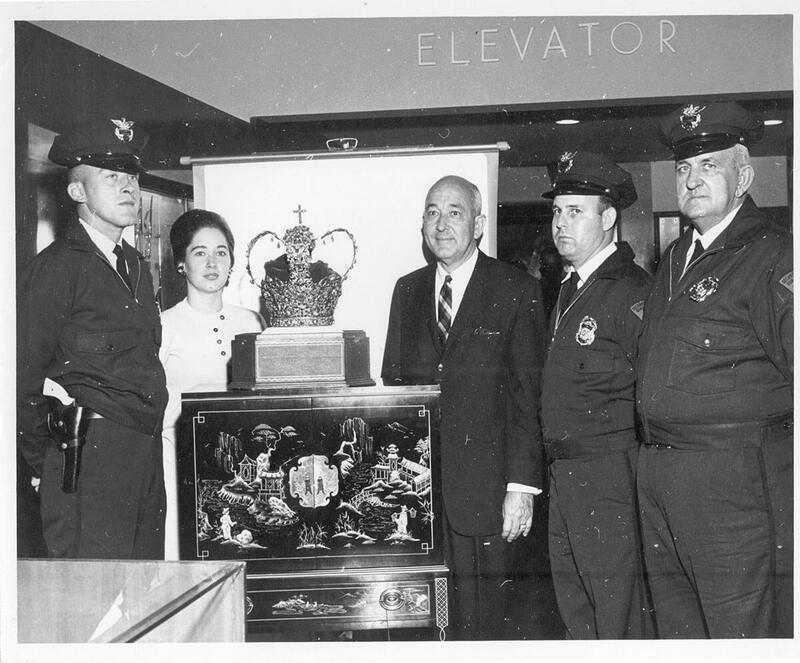 The crown was made from 18-22 karat gold with 450 emeralds and weighs over 100 pounds. 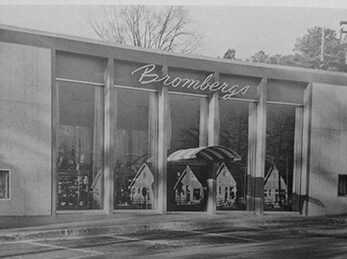 The Fifth Generation Bromberg's open an additional store on the circle of Mountain Brook Village. 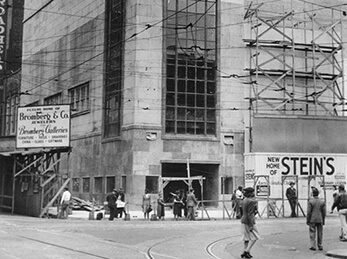 The architect on the project was Henry Sprott Long and the interior was designed by Gordon Carr. 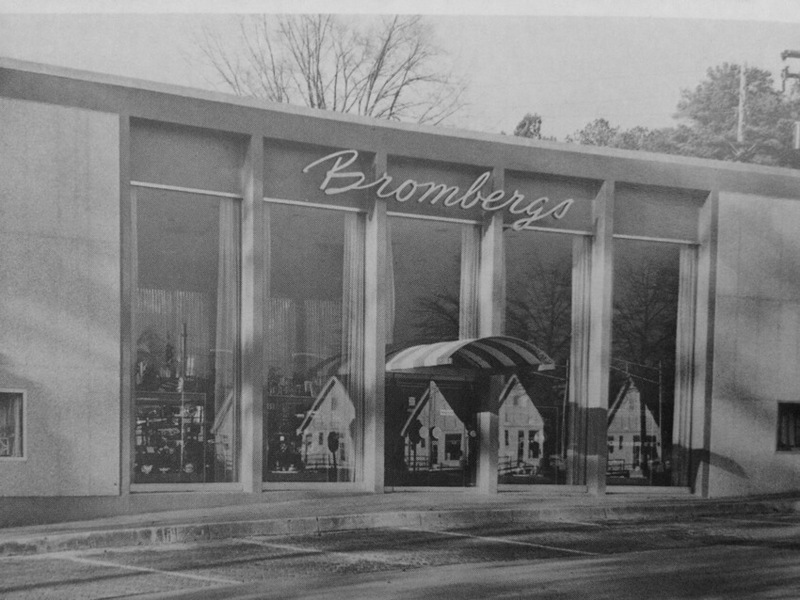 This opening began many years of growth and expansion for Bromberg's. 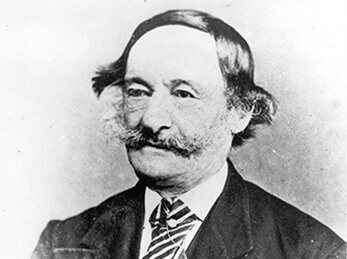 The Sixth Generation Bromberg's open an additional store at the Summit. The Mountain Brook location gets renovated just before the 50th Anniversary. Sign up for updates from Bromberg's!